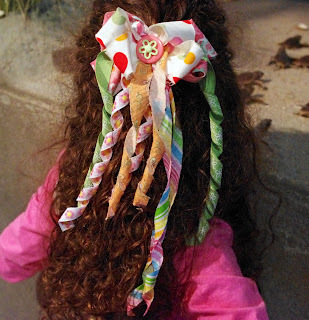 I'm sure you've all seen the pretty hair bows with the curled ribbon. Maybe you even know how to curl the ribbon. I wondered if all types of ribbon would curl with the usual method and found it will. 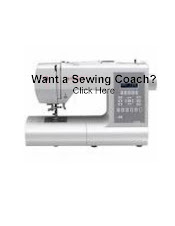 Then I wondered would fabric curl also and if so what types of fabric. So on I went with my version of a "science experiment". We curled printed ribbon, ricrac, embroidered ribbon. We also curled seersucker (polyester content) and cotton (quilter's cotton). It all curled. The ricrac would have looked better on a smaller dowel rod, as the curvy nature of it left a looser curl than I wanted. 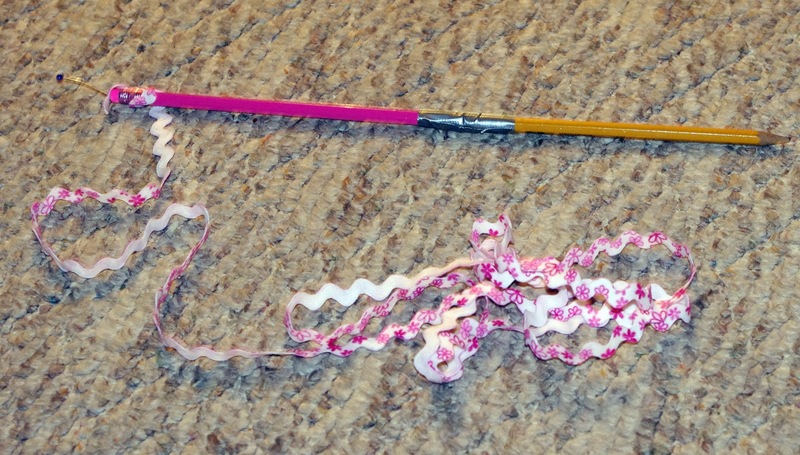 I ended up not using it in this bow and will re-curl it when I get a smaller rod. 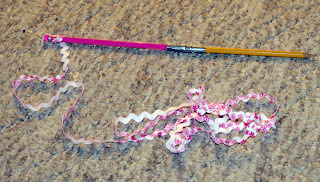 I made this bow using boutique bow tutorials found on you-tube. 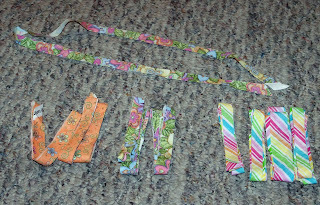 For the bow part, I used scrap fabrics from a dress, cut on the bias. The center of the bow is two buttons. The larger button had holes in it's center which I covered with a smaller shank button after nipping off the shank with wire cutters. I used hot glue to hold the buttons on. 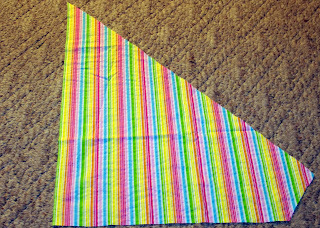 ﻿Fabric scraps large enough to get a bias cut: you want your ribbon strip to be two times the length of the desired curled ribbon. 1. Preheat the oven @ 200 degrees. 2. 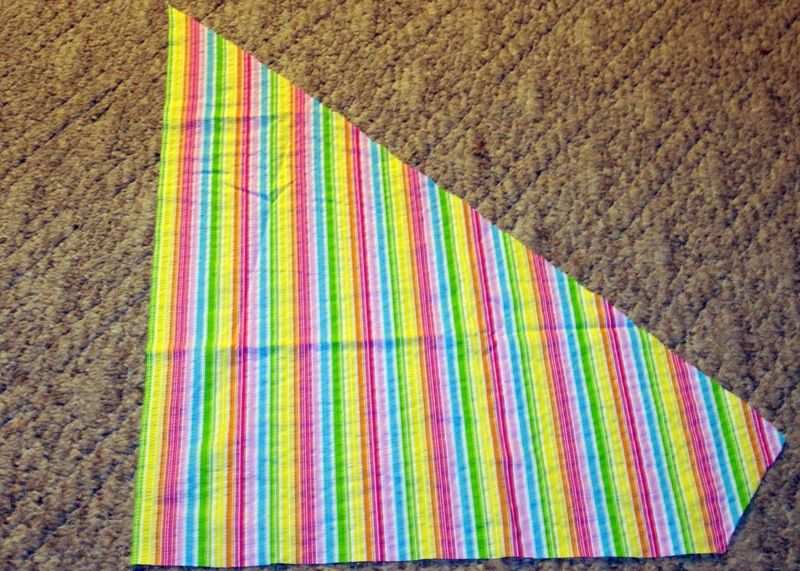 Fold from corner to corner several times, keeping your bias edge straight. The shorter your cutting line the straighter and easier it is to cut. 3. Cut strips as wide as you'd like your curls to be. 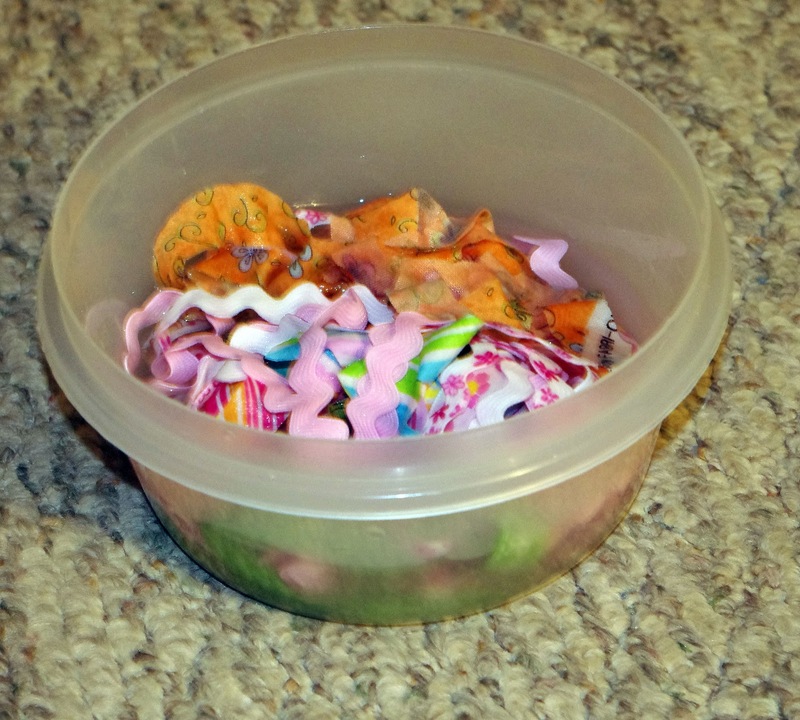 We cut strips of varying widths. 4. In a bowl, mix 1 part starch with 2 parts water. Stir. Add in strips. Make sure the strips are all well saturated. 5. Take a strip out. Remove excess liquid from the strip. Pin one end to the rod. In this experiment I taped two pencils together. I do not recommend the taping. The ribbon curled better on the wood than the tape. And our strips would have been long enough on just one pencil for our bow. Wind the strip around the rod at an angle. Do not overlap the strip. Pin at the other end. Repeat for each strip you want to do. Put into the preheated oven for 20 min. or until completely dry. 7. Remove the tray from the oven and let cool. Unwrap and use for your next hair accessory project. 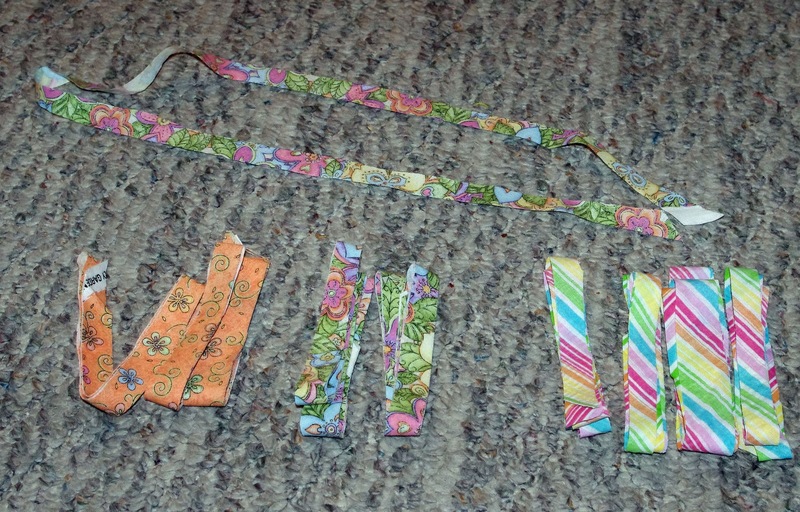 We'd love to see the coordinating creations you can make...now that you can use fabric scraps to make wonderful bows. Please add them to our flickr group or email to me (I'll add them.) @ squigglytwigsdesigns @ yahoo dot com. A new pattern will debut soon. Watch for Miss Maria. She'll fit size 6 mo. through size 10 girls.